Do you have a really nice girlie dress or top you cannot wear because it's too revealing? For me, it's this dress. It's the most feminine dress I have & I'm in love with the creme de menthe color, but it is very low in the front + it's made like a corset, so it pushes up the twins up too much, like 'Woah!' If you want to go from A to C, this is the type of neckline you should look for. "Hello, it's really nice to meet you!" Dress ~ Forever New. It was longer when I bought it. I got it altered. P.S: Please excuse the blurry photos and red eyes.I hate having to use flash indoors. So tell me, would you wear this dress in public? Particularly in India? 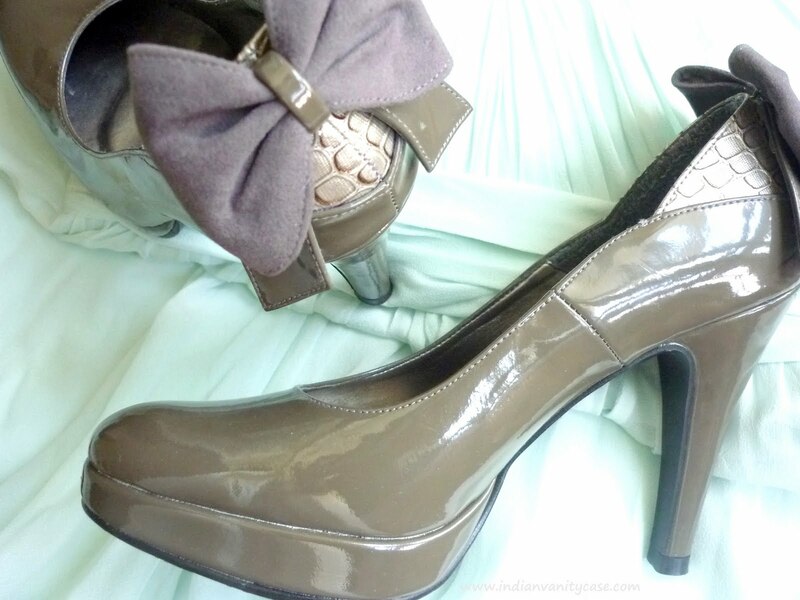 Those heels are adorable, the little bows at the back create a nice finishing touch to it. Its really cute! Your frame is so small.. It doesnt look too revealing! Lovelyyyy Dress and you are looking fab! Btw...Belated wishes on ur anniversary! You look adorable Cynthia! 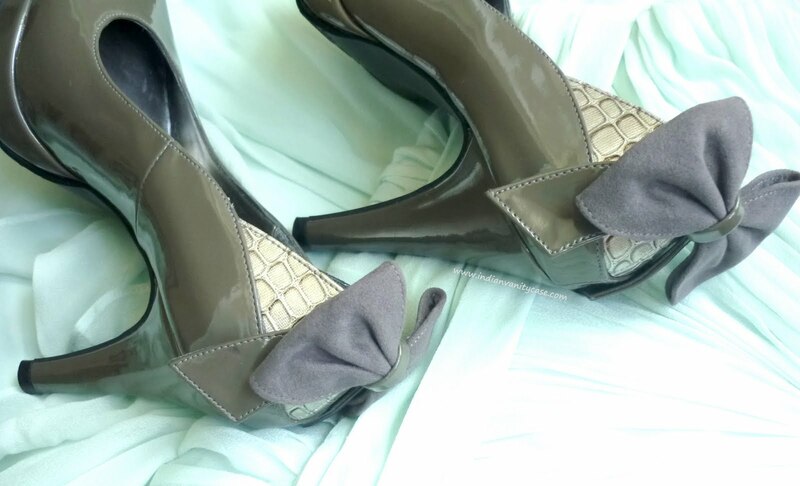 The shoes are to die for :) Hope you had a lovely day! I love the shoes they're really cute. Happy Anniversary! That dress is so cute! you should totally wear it for a fancy dinner at some fancy schmancy restaurant or hotel (like the Oberoi or Hyatt!lol)..it's not that revealing..or maybe im just too liberal.haha. 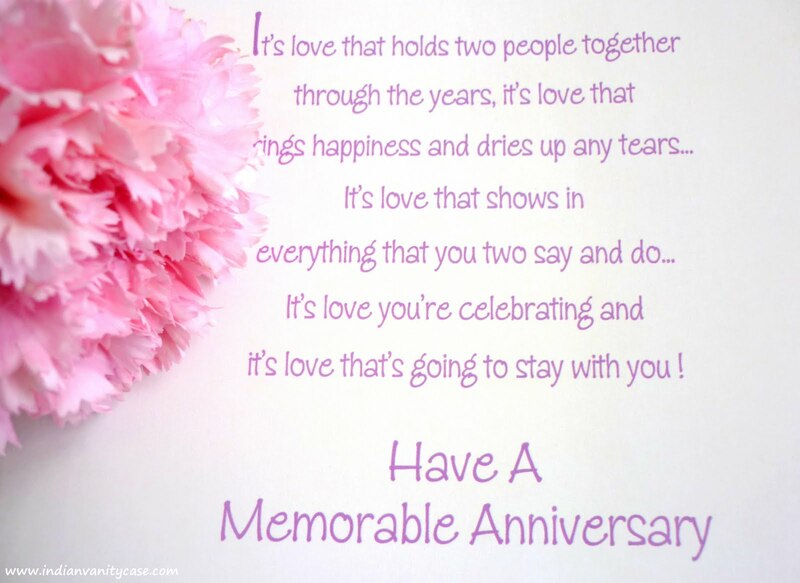 Happy Anniversary!! Love those shoes!!! awww...super cutee...dress,shoes,you and the card !! You look like a Barbie doll..! I would definitely ! But not in the day time..out at night to a club or party !!! You look really nice in that outfit. Love the dress and the shoes. What makes it stand out is the fact that you are prettier! CZ you look like a doll. And how sweet of your mom in law to send you a card? As for where I would wear this dress? I'd reserve this to your house lol. When I went to India last year, it was the first time in history I wore kurtis with leggings. I had surrendered. Creep here, creep there - creep creep everywhere. You could wear it in a five star hotel though. I have gotten away with low cut tops there - but its not my fault everything in Canada is low cut. But thank god no creeps here. dress and shoes are amazing! You are so cute :) I love the dress and the shoes! happy anniversary! you look stunning -- i adore that dress and such a perfect color on you too! you are looking so pretty and the dress looks really cute...I think you can pair it with a stole....and shoes are damn awesome!!! Oh gosh, that light minty green looks perfect against your skin! I've gotten very into medium mint greens lately so your look gets two thumbs up from me! aoyv- She's always does :). Haha kurti with leggings. Creeps are more in 5 start hotels here! Thanks for yr wishes! o gosh love the dress and the makeup. btw dont mind me asking, how old are u .. 4th wedding aniv and u look sooo young... u shud wear the dress out to a nice resto wen u are going and coming back by car ..
Maybe u cud try wearing a tube top inside... if the neck is too revealing.